Kinnaur district is turned as the most popular destination for nature lovers these days. This small region near Tibet is established in east direction of Himachal Pradesh. Reaching Kinnaur permits the tourist to visit the Shimla, which is only 235 kms away. The high hills and mounts identified as Dhauladhar and Zanskar are also special locations. The valleys of Spiti, Sutlej, and Baspa are full of natural beauties. Slopes of the valleys are surrounded with wide wood, fields, orchards, and charming rural areas. Kailash Mountain is world-famous and having religious values for Hindus as the Mount of Kailash is known as a permanent house for Lord Shiva. The big mounts in Kinnaur are ranges of Kailash Mountain. 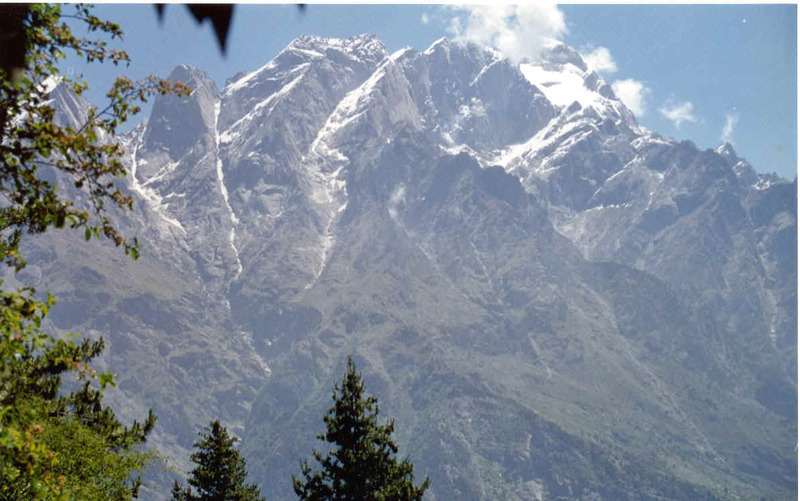 Kinnaur region was opened for visitors in 1989. 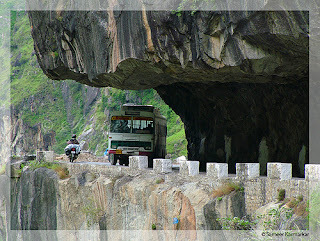 The famous old Indian-Tibet road's bypass in Kinnaur valley is very special and best experience for visitors. 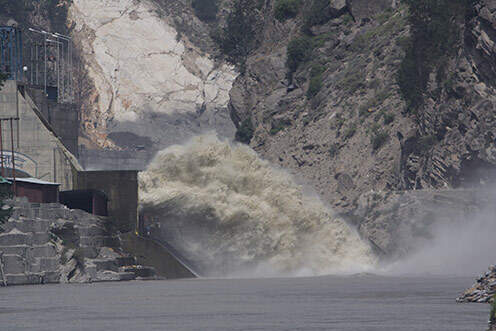 The river Sutlej enters Tibet from this point. The picturesque beauty that appeals to the youth and old generation about the life styles, heritage, culture, customs and traditions are special thing for visitors. Fruits such as chilgoza, apples and dry fruits are delivered throughout the world from Kinnaur. Trekking and adventurous events conducted in Kinnaur could be another special program for visitors. The Parikarma of Kailash Mountain permits tourist to view the great valleys and natural beauties of the place. 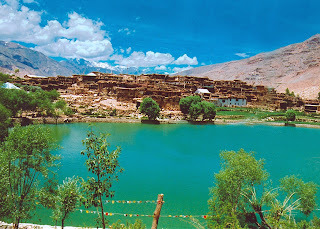 The stunning Nako lake and 3 popular wild life parks allow travelers enjoying cold water of hills. The calm and piece of Kinnaur ambience all tourists. The stunning view of vale next to River Bhaba is the vital Indian tourist place. Next spot that tourist can enjoy is Karchham, which is positioned at the meeting point of River Sutlej and River Baspar. Experts identify this place as starting picturesque point of Baspar Valley. 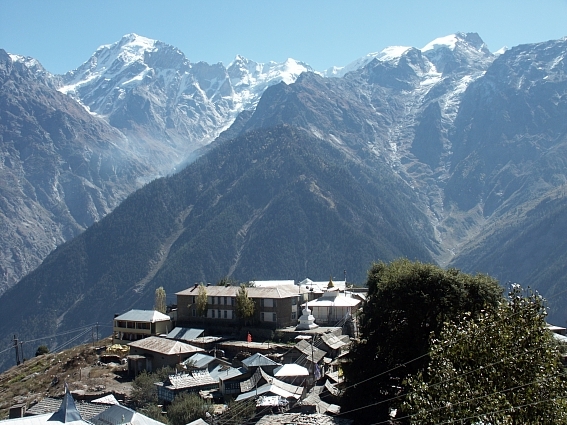 The destination Sangla is another spot positioned at 18 km distance from city Karchham. Rakchham is one more Indian tourist place added to the list of picnic destinations. Rakchham is positioned at the bank of River Baspa with the height of 2900 meters. Visitors have to travel for 13 kms from Sangla to reach the spot. Chitkul is the highest and last valley of Kinnaur. Countless spots for tourism make this place special, though Powari is one more spot located at 70 km distance from Rampur. Rechong Peo is the next place situated at 240 km distance from Shimla. Visiting Riba will make the tour special, though journey should be done for approx 18 kms. 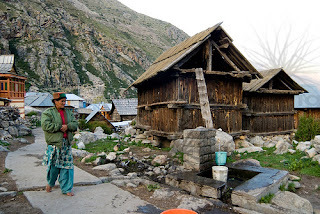 The village Namgya is another closest tourist place in Kinnaur, while this village near Indo-China border. The climate of Kinnaur is cold for almost complete year, but the winter season is quite difficult to live. Short summer season from the month June to September is special time to visit. 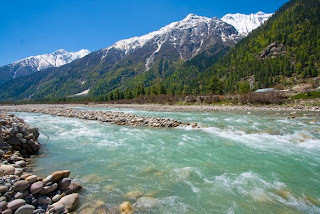 Best period to visit the Kinnaur district is between April to October when the climate is pleasant and rivers have enough water with greenery everywhere. The closest big railway station to reach Kinnaur is Shimla, which is just 235 kms away, though the close airport is also Shimla.